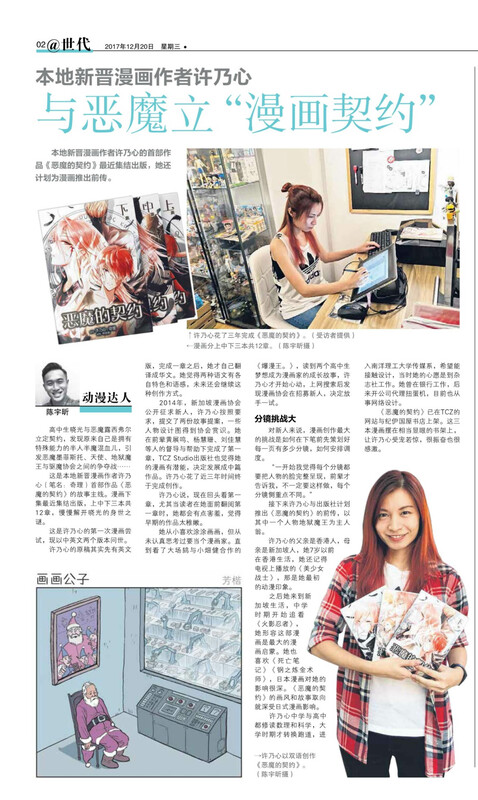 Creator of A Deal With Lucifer 《恶魔的契约》 comics series, Clio Hui Kiri (许乃心), is featured on Chinese Newspaper, Lianhe Zaobao 联合早报@世代 (2017, Dec 20). Her books are currently also available for purchase at Kinokuniya. 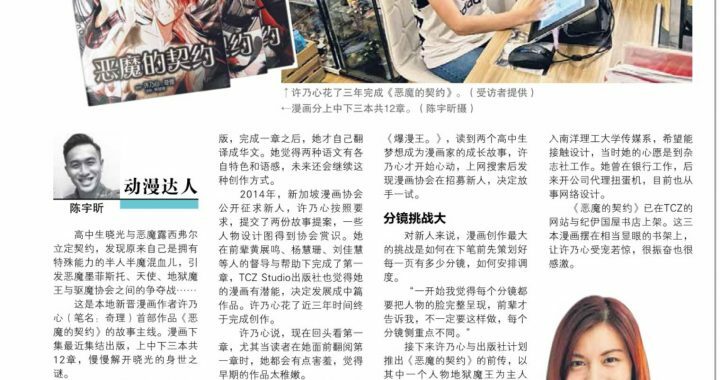 Posted in Media & Events and tagged a deal with lucifer, a deal with lucifer manga, adealwithlucifer, comic, lianhezaobao, news article, news feature, 恶魔的契约.